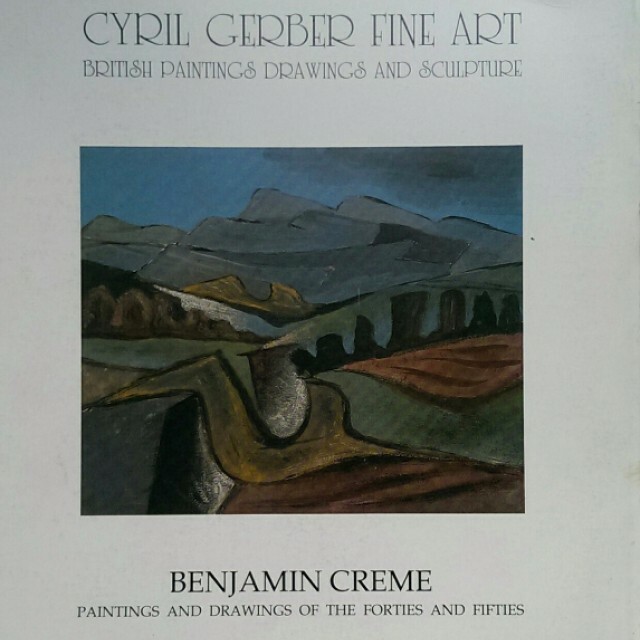 Benjamin Creme was born in Glasgow in 1922. He left school at 16 because he wanted to paint. He attended life classes but found them too 'academic' and left within the year. At a two-man show in 1940 Creme's work attracted the attention of the Polish painters Josef Herman and Jankel Adler who had recently arrived in Glasgow, and of JD Fergusson, just returned from France. These three prominent artists were at the heart of a new European modernist influence which soon developed in the city. It brought into focus the work of such painters as Donald Bain, Andrew Taylor Elder, Robert Frame, Tom Macdonald, William Crosbie, Helen Biggar, Marie de Banzie and other younger artists. Creme became part of the lively circle and met David Archer, publisher of modern poetry by Dylan Thomas, David Gascoyne and WS Graham, who had founded 'The Centre' in Scott Street. In its short lifetime it became a rendezvous for those interested in poetry readings, music recitals, exhibitions and discussions. Creme latterly was closely associated with it. Encouraged by Adler, and thus indirectly influenced by Picasso, Creme continued to develop his painting. In 1946 he moved to London, as Adler had done a few years earlier, and joined a wider circle of artists including Colquhoun, MacBryde, Minton and Vaughan. He designed the sets for Tyrone Guthrie's production of Carmen and exhibited at the AIA Gallery, Roland Browse & Delbanco, Redfern, Gimpel, Leger and Reid and Lefevre. His work gradually became less figurative and more landscape-orientated and after his visit to the south of France in 1950 his colours became more vibrant than previously. In recent years his style, never static, has moved closer to abstraction. Creme has shown in various exhibitions in the USA and London and was included in the ICA exhibition 'The Invisible in Art', and had numerous solo shows in London and Los Angeles. He died in 2016.